The Churchill, or to give it its official title Tank, Infantry Mk IV, A20 (and the later A22 (Mk VII) was the last and probably the most important of the British Second World War Infantry tanks. It was produced in Many Variants of the standard Gun tank plus it was adapted in a wide range of specialist armoured engineering roles. 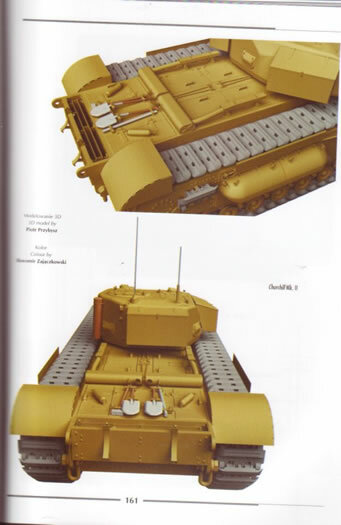 Over 5600 were produced during the war and as an infantry tank it was second to none. References on the Churchill are few and far between which is surprising given the breadth of service in amazing roles and the importance it played in British Armoured operations during WW2. This book is apparently Volume one of three on the subject and will be welcomed eagerly by modellers and Historians alike. The first Chapter deals with the development of the Churchill from its start in 1939 through to the end of the war and beyond. 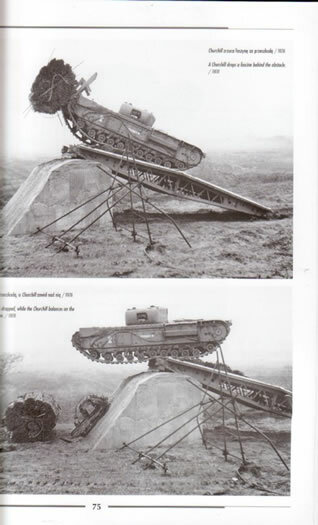 It covers the major variants including sections on the NA 75 and Black prince with photos I had not seen before despite owning most of the published reference on the subject. 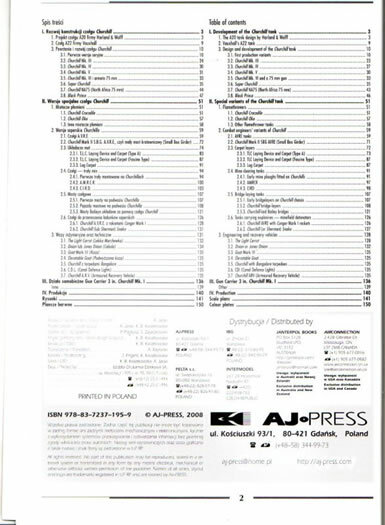 The pages are split into columns with polish text on the left and English on the right. In the second chapter, which makes up the bulk of the book, the specialist variants are covered and again are supported by excellent photos of the major specialist variants and a lot of the minor ones. 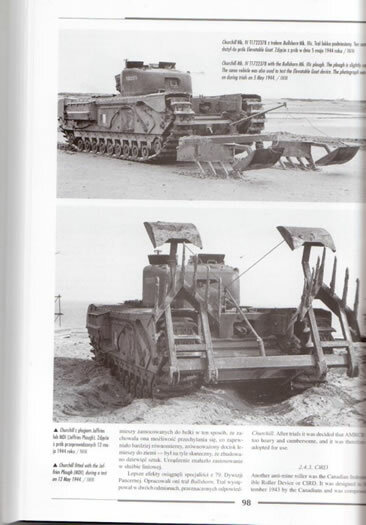 Chapter three is a small one devoted to the 3 “ gun carrier variant and has a lot of good photos of this rare variant. In all there are 26 pages of colour plates covering almost all details of the variants listed. These are an excellent reference to the modeller. 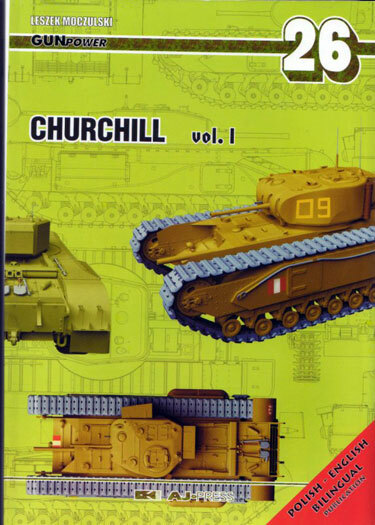 Given that AFV club is shortly to release a kit of the Churchill Mk III this book is timely particularly as AFV are wont to do whole families of the subject. This book is a modellers dream with stunningly clear photos covering a multitude of different variants and details. All of this is backed up by informative and detailed histories with superb scale drawings and colour plates of 3D models.